Well…yes. And, of course, there’s always more to be done when it comes to truly making the world a better, cleaner, safer and more humane place. But, where do you start?!? Let’s be honest, we humans can be pretty judgy with one another when it comes to lifestyle choices and our belief systems about most things and when you start to really examine all the ways in which our human choices negatively impact the world around us and the animals with whom we share this planet, it can all be a bit overwhelming. Start with The Animal Lovers Guide to Changing the World by Stephanie Feldstein. What’s in the Animal Lovers Guide? This comprehensive guide is a wealth of educational information and actionable advocacy – my favorite kind of guide! 😉 Stephanie’s book challenges us to all do some self-reflection – even if it gets a little uncomfortable – and really explore our personal choices and what kind of impact our decisions have on animals. I really appreciate that Stephanie’s book is not preachy or judgmental and that there truly is something for all animal lovers. Given my work in animal welfare and my personal commitment to changing the conversation about pit bull type dogs, I was personally drawn to the chapters on language and the power of words and, of course, the discussion surrounding “Adopt. Don’t Shop”. From the small daily changes we can each make to large scale advocacy campaigns, this guide covers everything from food to fashion, from the impact of big agriculture to the pros and cons of eco-tourism, from the individual to the global community. Each chapter concludes with simple action steps you can take and the author has included a list of resources related to each topic in the appendix. 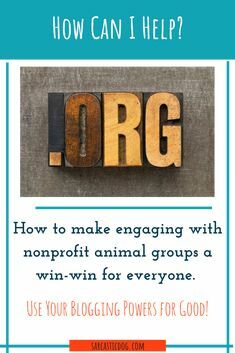 In several chapters, there are more involved “how to” mini guides including how to start your own campaign and a checklist for when you are ready to add a furry family member. The Animal Lovers Guide to Changing the World will be the kind of book you reference over and over again. Don’t be so judgy! Each of us is on our own journey so be a little kinder to others who may not be as far along as you might like them to be when it comes to their humane and green lifestyle choices. Remember that socio-economics play a huge role in terms of access to education, healthy food choices and a person’s ability to implement change in their life. In other words, extend some of your compassion for animals towards your fellow human beings. #AdoptDontShop. You know this is one of my favorite hashtags and something I talk about here on the blog and on social media. The chapter in the guide on shelter and rescue adoptions should be required reading for anyone considering the addition of a new family pet. Start where you are. Don’t worry about tackling each action item in the book all at once. This is an in-depth book and you do not need to read it sequentially. Stephanie has included so much valuable information on how we can all do a little more to create a more humane global community. Scroll the table of contents, pick the topic that speaks to you the loudest and start there. Feeling Inspired? Ready to Create a More Animal-Friendly World? 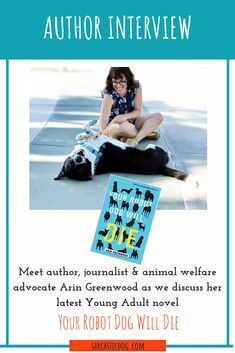 Enter to win an advanced copy of The Animal Lover’s Guide to Changing the World! Leave a comment below telling us one step you have already taken (or plan on taking) toward making the world safer and more friendly for animals. Keep in mind that small steps add up and together we can all make a difference. *Giveaway open to US Residents over the age of 18 except where prohibited by law. Giveaway runs May 25 to June 4, 2018. Winner will be notified by email. Make sure you are subscribed to our email list so we can contact you if you’re the winner! Plus, check out all the blogs on this week’s virtual book tour for more chances to win a copy of the Animal Lovers Guide to Changing the World! 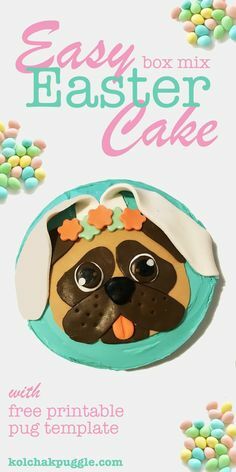 May 29 Oh My Dog! Ahh… I love this, especially the emphasis of not being so judgy. That’s something that both sides of the table need to be reminded of on the daily. I gave up meat last August and am currently trying to be more cautious and educate myself on purchasing products that aren’t tested on animals, etc.! Can’t wait to read this book! We have recently adopted a kitten to add to our home! Also, our Mommy makes us upcycled dog toys, which are super fun to play with. I became a vegetarian in 1988 because of my love for animals. So you can definitely say I changed a part of my being for them…and I’ve never looked back. I was a vegetarian for 10 years, fell off the wagon and have slowly been working my way back. Thanks for mentioning the socio-economic factors. That’s obviously a huge thing and I think sometimes folks in the environmental world (especially) forget this. If you are struggling to feed yourself, you are going to go for the least expensive option which is often junk food in plastic containers and often dairy or meat based. That’s why there are so many more fast food restaurants in poorer communities. Companies know this and market specifically to these communities. America is full of food deserts and you are so right about how companies take advantage of poor communities. We have to find ways to make healthy foods available/affordable for everyone. Not being judgy is so important. Especially having pitbulls. There was an article the other day that mentioned pitbulls and it was hard to tell if they mentioned the breed because of facts or out of judgement for the breed. Unfortunately, that is often the case. We are quick to judge and slow to actually listen and learn. I’ve been astonished by the power of Twitter to assist animals in need, amazed by how doing something as easy as retweeting can create a chain that reaches just the right person at the right time and boom! Dog adopted, vet bill paid, kitten fostered, abuser arrested, legislation sponsored. It’s not sufficient, but it’s a terrific place to start, especially for folks short on funds, or in a pet-unfriendly residence, or in few middle of a life transition. No matter what you can keep Tweeting! You are so right! Social media is incredibly powerful and a truly effective tool for supporting animal welfare efforts. I advocate for rescue animals whenever I can, and am moving towards a vegetarian lifestyle. While I try to keep the environment in mind, I know there is a lot of room for improvement. I work with rescues to foster and adopt animals. I have gotten all 3 of my furbabies from rescues and will again when the time comes. There are too many dogs in shelters that need homes. All three of mine are rescue pups as well 🙂 We are really full at the shelter right now with both cats and dogs. I really appreciate your post. Excellent Job, Well done! It is really very important to be aware of all these facts which we ignore while shopping a pet. I agree to what you said, “Adopt don’t Shop”. It will help lots of people regarding changing their perception. I really appreciate your post. Good Job, Well done! it is very important to be aware of all these facts. I must agree on what you said, “Adopt don’t shop”. It will help a lot of people changing their perception regarding shopping a pet. Thanks and keep writing good stuff. An amazing article must say! You have discussed socio-economic factors that is very important and rarely discussed over years and being not so judgy is something we all need to learn. And I totally agree social media plays an important role regarding welfare and awareness. Much love to dogs! Thanks for checking out the article and for stopping by the blog!